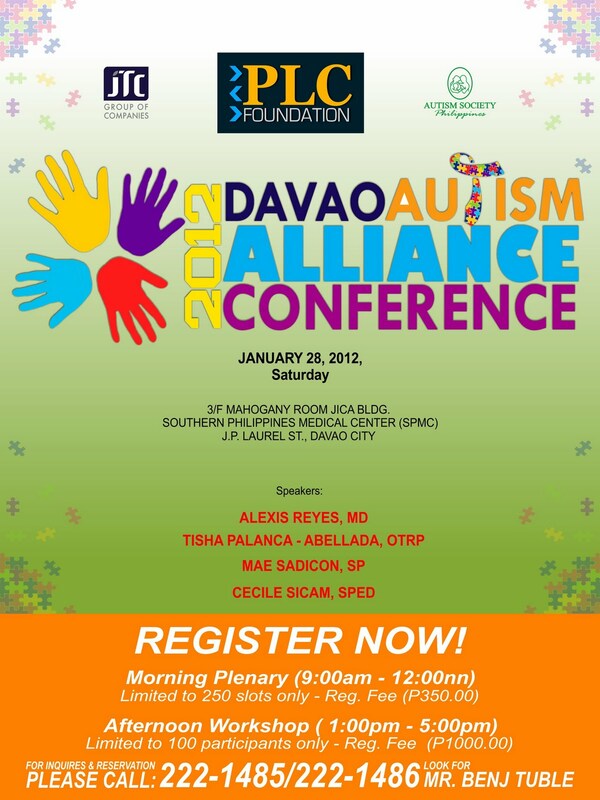 ASP Davao Chapter in partnership with PLC Foundation and JTC Group of Companies in Davao invites the public specially all the Davaeños to attend the 2012 Davao Autism Alliance Conference on January 28, 2012, Saturday. hi. 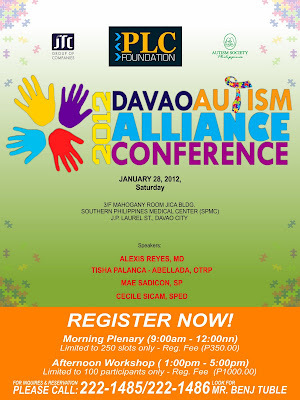 what do we need to bring tomorrow for the afternoon's plenary. thanks.